Manufacturers and fabricators face production and labor time and cost issues during the shipping process of their expensive and unique products. 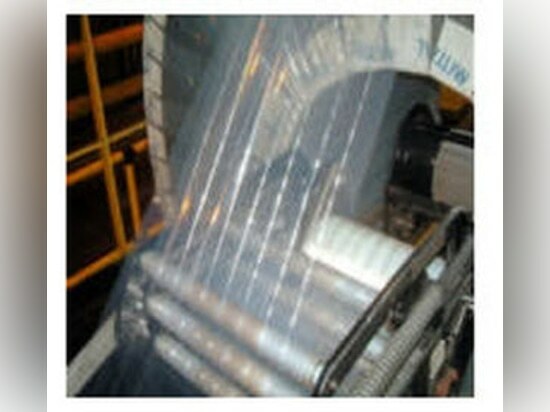 Common methods like steel banding and hand wrapping are used to seemingly “get by”, though they cause lost production and required extra labor. Three employees may be needed to wrap one pallet. For example, one employee remains on the forklift while two others pass the stretch wrap around the load. 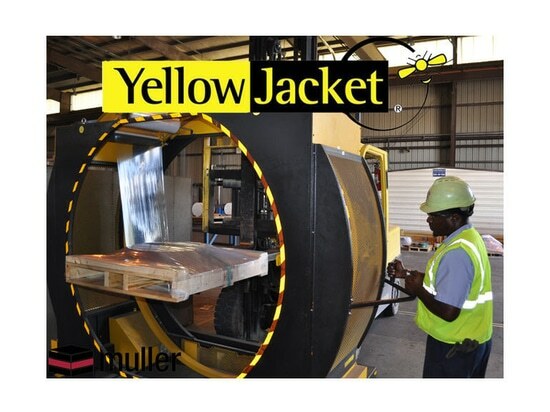 Companies that learn of the Yellow Jacket Orbital Stretch Wrapper are realizing production and labor savings by eliminating this familiar scenario! What is the purpose of the Yellow Jacket? The Yellow Jacket goes where conventional stretch wrappers and hand wrapping cannot. Most companies ship their goods in a relatively square or rectangular stack on a pallet. Wrapping the sides is acceptable in these cases. Some companies ship exposed metal parts, windows and doors, customer metal fab components, engines, tubing or HVAC systems. These companies are left with few packaging options, and even fewer good options. 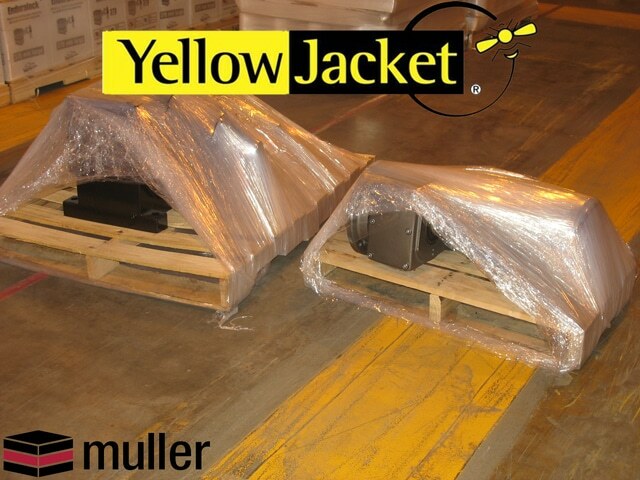 The Yellow Jacket fits their needs by securing these odd-shaped products firmly to the shipping pallet. Who does the Yellow Jacket best serve? Companies shipping loose products, loose components, or generally asymmetrical products that need to be fastened to a pallet benefit greatly. These companies often resort to hand-wrapping because humans can adapt to the variance in load shape; unfortunately, this is a very unsafe and inadequate method. Until the Yellow Jacket became available, customers had few options. Now, the Yellow Jacket provides the solution for those who require the ability to secure all shapes. Common target industries include Metal Fabrication, HVAC , Oil & Gas, Windows & Doors, and Custom Manufacturing. Why choose the Yellow Jacket Orbital Wrapper? 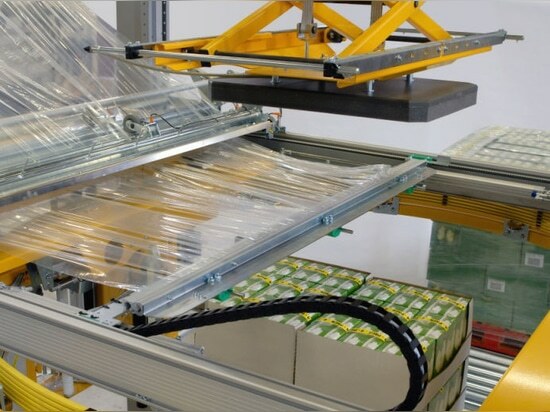 Horizontal wrapping works for uniform loads because weight is fairly evenly distributed throughout the load. When this is not the case, wrapping around the side is less effective and dangerous. The load must be tied to the pallet— anything less invites the product to leave the pallet in shipment, creating costly shipping damage. When employees try to tie product to the pallet by hand, film rolls get stuck on top and under the load, heads get bumped, and back injuries are common. Labor issues and shipping damages impact cost reduction efforts— and certainly employee safety as well as morale are compelling reasons to select the Yellow Jacket. - A patented laminated film reinforced with fiber strands. - Designed to resist cuts and severe abrasion. - Ideal for wrapping metal sheets and other product with sharp edges. 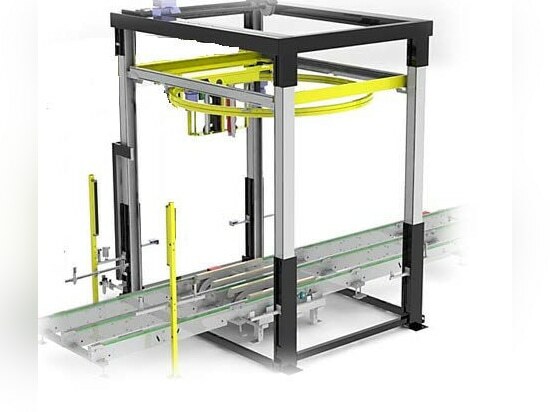 This reliable safety curtain system protects personnel and equipment from unauthorized or unexpected entry during machine operation. Should the safety light curtain be breached, the system will be placed into an emergency stop status. Pallet loads entering and leaving the system are detected by muting photocells.